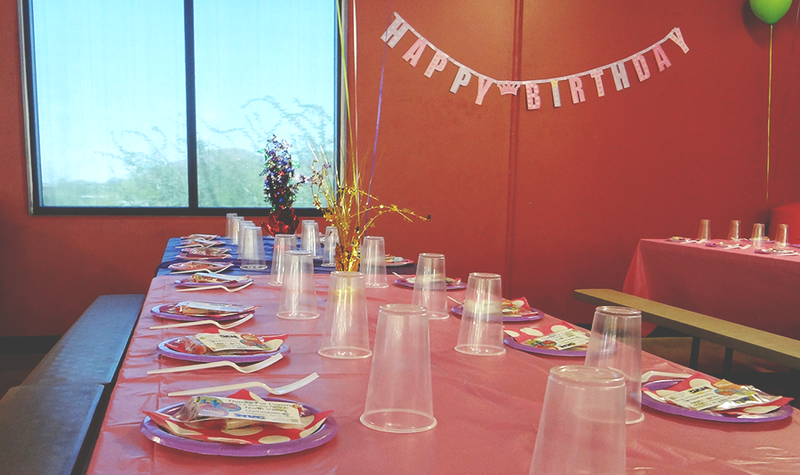 Call us at 602-404-3547 to reserve a date and time for your child’s birthday –or– Click on the button above to open our birthday party calendar and book your party online! Note: When booking a party online, a credit card is required for the deposit. After completing your registration, our front desk staff will call you within 48 hours to confirm the details of your party.